Andri joined Nobel Trust in 2014 and she is currently a senior administrator at the corporate administration department. 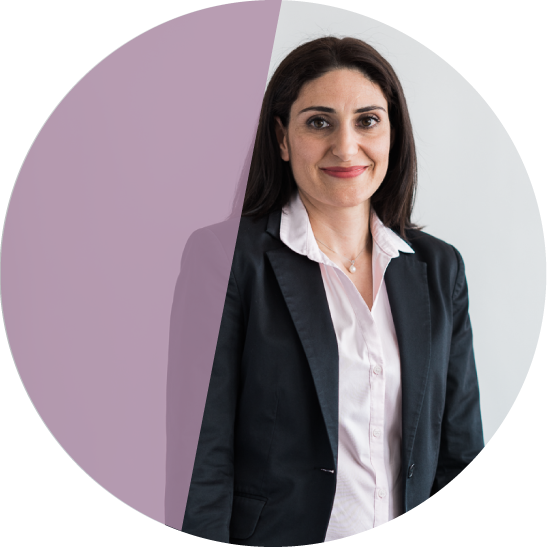 She deals with the corporate and banking administration matters of Cyprus and foreign companies. Prior to joining Nobel Trust, Andri worked for an international and a local fiduciary company as a corporate administrator. Andri holds a BA in Social Political and Social Anthropology Sciences from The Panteion University in Athens. Andri has a positive attitude in life, both οn personal and professional matters. She strongly believes that things can and will go well as long as she retains a positive attitude. As a professional, she is dedicated to attain her overall objectives through constructive team work and personal efficiency. One remarkable experience she recently had was going on a family vacation to Dubai where she had the opportunity to experience the nomadic lifestyle as part of a desert safari tour. There, she grabbed the chance to taste the community’s traditional cuisine, take nomad dance lessons, rested in the tribe’s tents and tried sand skiing. The firm is focused on its people and that is why teamwork and team spirit prevail in the company’s culture. The continuous advancement opportunities available as well as the fact that employees constantly learn and grow through diverse internal and external training sessions are the main elements I like most about Nobel Trust.